Are you looking to back up your Microsoft Hyper-V virtual machines reliably, easily and affordably? 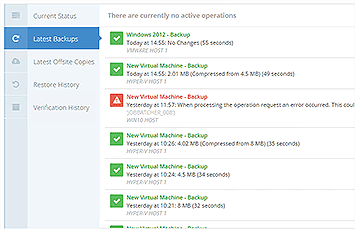 Altaro VM Backup is the logical choice for Hyper-V backups. It saves you the hassle of cumbersome installs and configurations, helps you avoid unreliable virtual machine (VM) backups using basic tools and doesn’t break the bank. 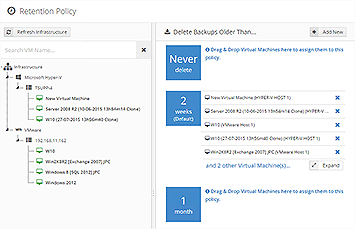 Altaro VM Backup offers full support for Microsoft Hyper-V (as well as VMware) and was designed to take away the complexities of backing up Hyper-V. With an intuitive user interface, you can accomplish advanced tasks, making it easy to configure and run backup/restore jobs quickly and reliably. 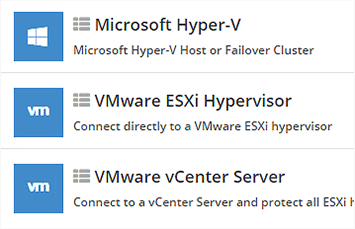 Easy to set up and configure – We understand Hyper-V inside out, so you don’t have to.